Can I Create Tinted Moisturizer Using Mineral Foundation? 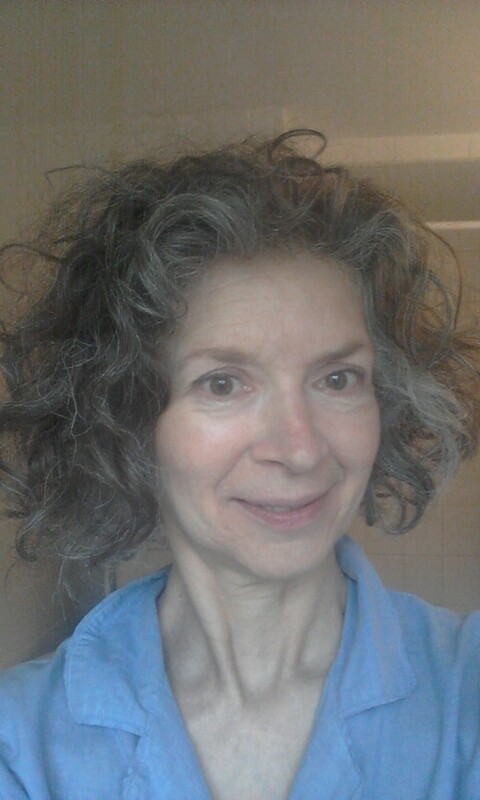 I’m 57 years of age with fair olive skin and rosacea, and I recently developed dermatitis from using a previous brand of mineral foundation with Bismuth Oxychloride. I have red areas everywhere right now and several rough spots to cover. I typically use mineral makeup foundation shades called golden beige or golden tan with excellent results. When trying Jennifer it was too light and looked like chalk on me, and I was surprised that Bianca and Calla had appeared very dark. I had applied with the moist method using the toner mister and it had appeared as if I were flushed from heavy exercise so I called for color advice. Believe it or not, I discovered by applying with a different method, the problem was solved. I tried a few grains of 50% Jennifer and 50% Bianca mixed with a drop of the Grecian Secret Body Souffle, then followed with misting using the Perfect Balance Facial Toner. It works beautifully for a light concealing around nostrils, light spots, etc. No obvious signs of concealer. It could be used alone to just touch up spots to even out skin tone on the face. The texture is completely natural on the skin. It is too sheer this way for heavy coverage, such as concealing over the large and strong red area from a thing I just had frozen 4 days ago. That required traditional application. Then I took only a few grains of Bianca and mixed them with an equal amount of the Grecian Secret Body Souffle. (Combined amount, about ½ the size of a petite pea.) I mixed them with a spatula and applied with a soft foundation brush over my entire face, then misted. The color appears about 3 shades lighter than when using the traditional moist method, and my skin looks creamy, dewy and moist and younger and doesn’t feel taught. I don’t look flushed at all. The texture is like baby’s skin. Unbelievably soft! I put on my glasses and could see no signs of powdery texture. Color appeared very even over my entire face, even with such a tiny amount. The color is actually a perfect midwinter pale tone, yet just a drop too pasty for summer. I did the same thing with Hannah and applied a second coat to darken a little. The first photo is the result! Remember, this is only a few grains of minerals! In person, it looks like an even better match to my neck. I think you can see the dewy glow and you can see I don’t look like I ran a mile. 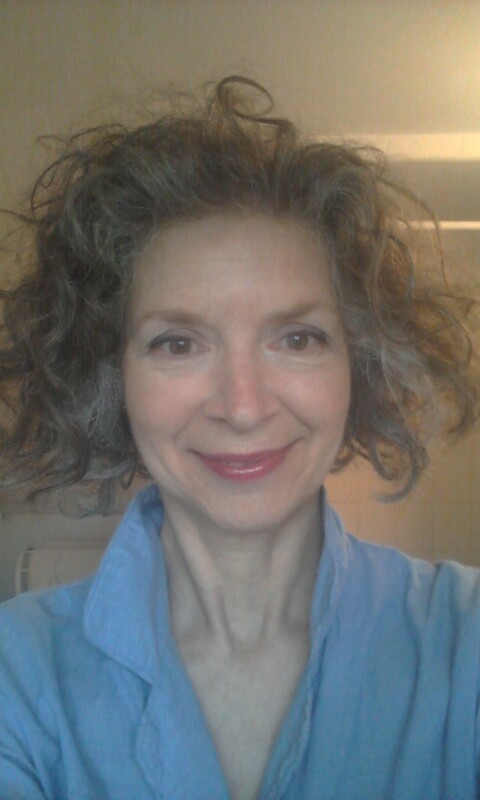 The second photo shows a very light coat of the silver and peacock eye shadow with peacock also applied with a wet brush as eyeliner (and I also applied lip gloss). Love those shadows! OK, clearly I didn’t do a photo makeup job, but to document a 5-minute, completely natural everyday look using just a few grains to calm redness and test a theory, I’m thrilled. The photos are just to show you the color and texture results. Color appears several shades lighter when mixed with moisturizer, so if a color is too dark, it can be fixed. Mixing with moisturizer gives a more dewy, youthful appearance to mature skin. Skin doesn’t feel quite as taught as it does with just the moist application method. This too can be corrected if you use heavier application of moisturizer prior to applying the minerals. If planning to use this method, I learned it is better to order a darker foundation shade. For heavy concealing, use the traditional method of application. Essentially, this mineral makeup foundation makes a great tinted moisturizer because of the wonderful coverage and spreading qualities. That just makes it even more versatile than I thought it was. Thanks for the fabulous mineral makeup products. I hope This tutorial helps other women with the same issues. I still can’t get over how soft my skin feels!!! I don’t think it ever felt this soft, even when I was a teenager. What a difference! I just looked in the mirror again, and I’m amazed I have no signs of rosacea at all. My skin looks and feels really great. I keep looking in the mirror. My husband thinks I’ve gone very vain. I just can’t believe the calm cheeks looking back at me. I look healthy (not muddy and not in the shade). I’m loving that Grecian Secret Body Souffle moisturizer too! My skin is very calm so far. I’ve been looking for 5 years for a moisturizer without any type of alcohol (including cetyl alcohol which gives me an odd purple, bumpy rash) that doesn’t trigger my rosacea. It’s like the search for the Holy Grail. So far, so good! Edited For Content To Create Article In The Proper Context and For Correct References.